Used daily, this cream instantly soothes even the driest skin, nourishing it all day long. It can be applied to all types of cutaneous irritation (sun, cold, flaking skin, etc) to soothe and help skin heal more rapidly. 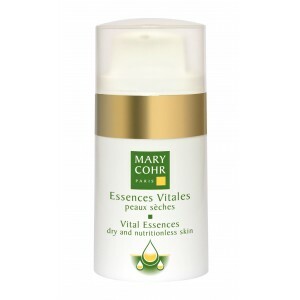 Apply Vital Essences Dry and Nutritionless for added moisture levels underneath this cream.